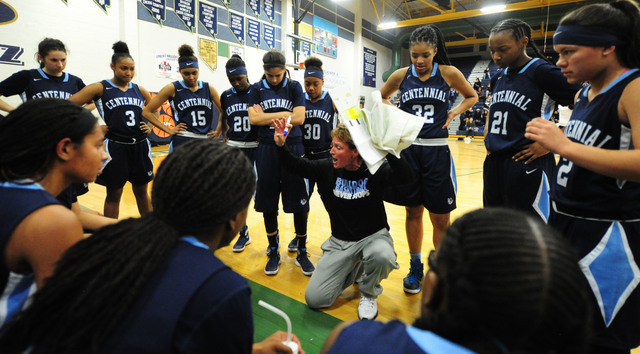 Karen Weitz, in her 17th year as head coach, led Centennial to a 31-1 record and an eighth state title. 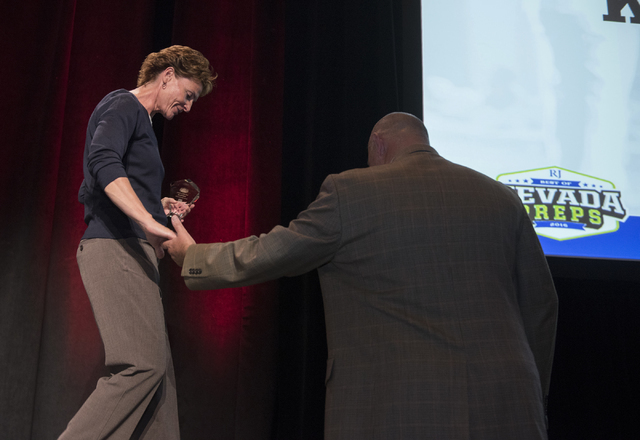 Weitz was the Review-Journal’s Coach of the Year. The 17th-year head coach led the Bulldogs to a 31-1 record, with the loss coming to Riverdale Baptist (Maryland) in late December. Centennial closed the season with 23 consecutive wins, including a 78-62 victory over Liberty for the Division I state championship. It was Weitz’s eight state title. Centennial defeated four nationally ranked opponents, and finished the season ranked No. 4 in the nation by USA Today. — Karen Weitz after her team opened the state final with a 20-3 run.